Whether you’re planning a family event like a birthday party or a wedding, a corporate function or a village fete, you want to do all you can to make it a memorable occasion for your guests. Weddings in particular offer a unique opportunity to stamp your personal style on the occasion. If you don’t want to go down the traditional meal or buffet route and let’s face it wedding food can be a bit boring, there are plenty of opportunities to do things differently. If you want to provide guests with finger food then something that’s a bit different is to offer mini fish and chips, pizza, hotdogs or bacon rolls. A nice touch is to provide “food stations” you can set out tables around the room each with a different type of food. This is a bit more interesting than a traditional buffet and it has the added benefit of encouraging people to circulate. It’s an idea that works well if you want to provide some slightly more exotic options like sushi that may not appeal to all your guests. For receptions that are being held out of doors you could consider having a barbecue. Again this encourages the guests to mingle and get involved. You can even do mini table-top grills so that people can cook their own food at the table. If you’re on a tight budget consider noodles or pasta. Served in bowls these are a great way to fill up your guests and cut costs. This is an option that may not suit traditionalists though. An increasingly popular option is the hog roast. Cooked at the venue on a purpose-built machine this is something that’s guaranteed to get your guest’s mouths watering as soon as they arrive. You can hire all that you need and it usually comes with a couple of attendants who will carve and serve. Hog roasts work for both indoor and outdoor events – just make sure you have an alternative for the vegetarians. Other cook-on-site options include paella, the traditional Spanish rice dish made with seafood or chicken or in vegetarian versions. As with any cooked option make sure you provide side dishes, salads or new potatoes so that people can help themselves. For something a little less formal outdoors you could go for fairground food. Hot dogs, chips, crisps, popcorn, toffee apples and candyfloss are all great choices. Hire an ice cream van for the final touch or alternatively why not have a picnic? Whether you go all the way and set out rugs on the lawn or simply have brown paper bags for guests to pick up as they make their way to the tables. If you’re eating indoors then why not set out a traditional afternoon tea? Place multi-tiered stands on each table with dainty sandwiches – crusts cut off of course! 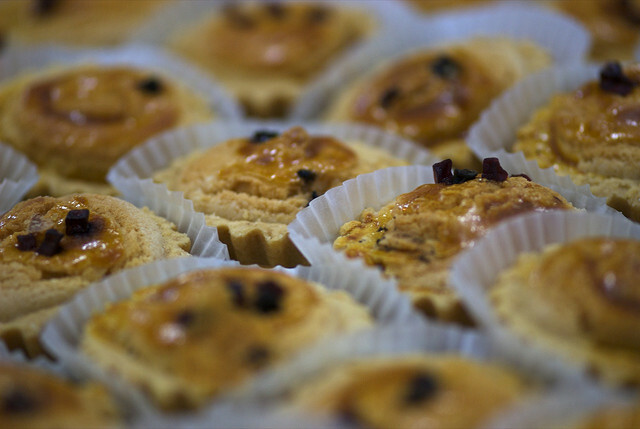 – complimented with fresh pastries and cakes. Then of course there’s dessert. For summer weddings you could serve fresh fruit garnished with edible flowers or perhaps a summer fruit jelly. Strawberries and cream is always a good option for the summer months. For weddings at other times try an old-fashioned treacle sponge pudding to really get your lips smacking, or if you prefer something a little lighter, why not include an almond tart or profiteroles topped with fresh cream. Again you can utilise the food station idea. Make it interesting with colour coding, with red fruits on one table, green on another, dark and white chocolate or simply cupcakes with coloured icing. If you really want to make a statement; push the boat out with a chocolate fountain. Whatever your tastes and whatever your budget wedding food never has to be boring. Steven Capocci is a freelance writer and serial wedding guest / buffet eater. Hog roast hire at receptions is always one of his favourites.